Optimized bridle line reduction and hybrid wingtip technology: The PEAK4 produces less drag and even better bar feedback, this results in a slight performance boost. New reinforcements on the leading edge to improve durability in specific stress areas. Snowkiting is an extreme sport and we are aware of the high risks in the mountains. The immediate loss of power and a controlled release of the kite is the outcome of our extensive safety tests. The easy reactivation makes the system even more advanced than a single front line safety. 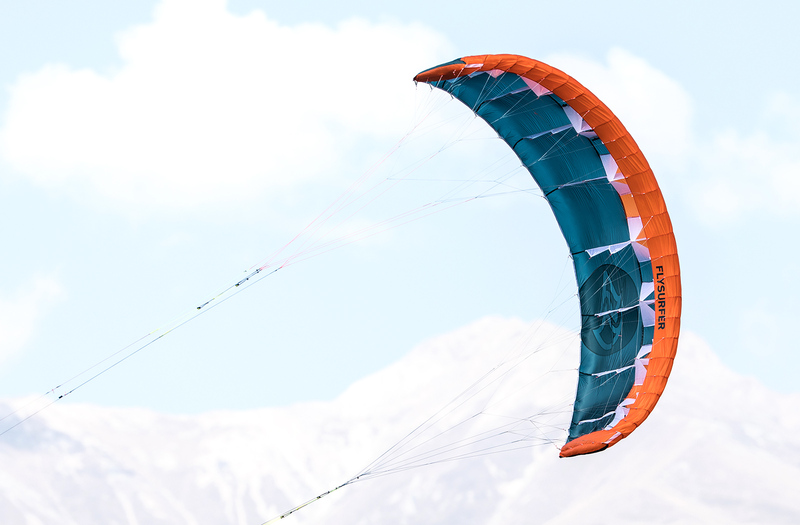 The PEAK4 is a completely new design which maintains all the benefits of the PEAK3, whilst improving the feel of the kite in flight and safety features. 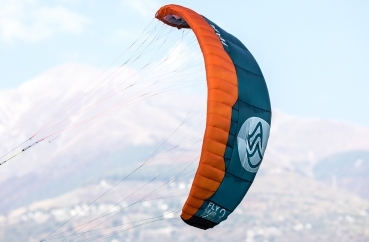 The requirements of the PEAK: Tight turning with highest backstall resistance, maximum pull with minimum surface area, smallest pack size, stability in light wind, as well as immediate loss of power in any situation. 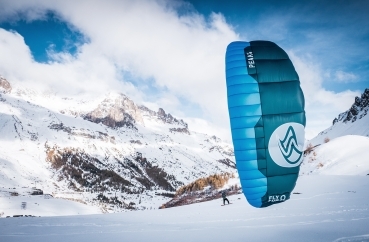 A single skin foilkite has all the advantages for high alpine snowkite touring, because in emergency situations the PEAK can simply be crashed into the slope to lose its power. 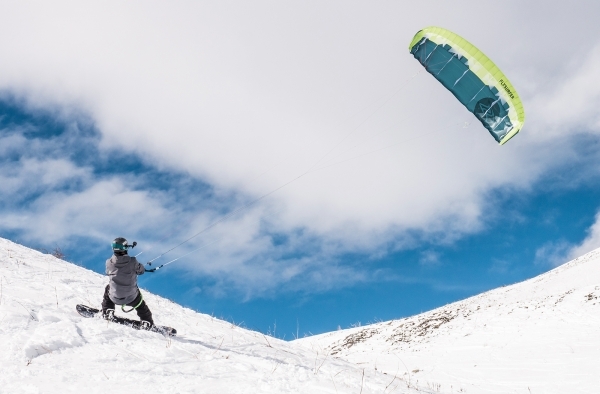 On the other hand, Double Skin or Open Cell kites can still drift off, slide down the slope and potentially drag you away. 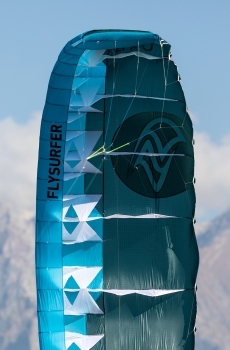 The “fluttering” of the canopy on single skin concept kites is necessary to achieve efficient depower. 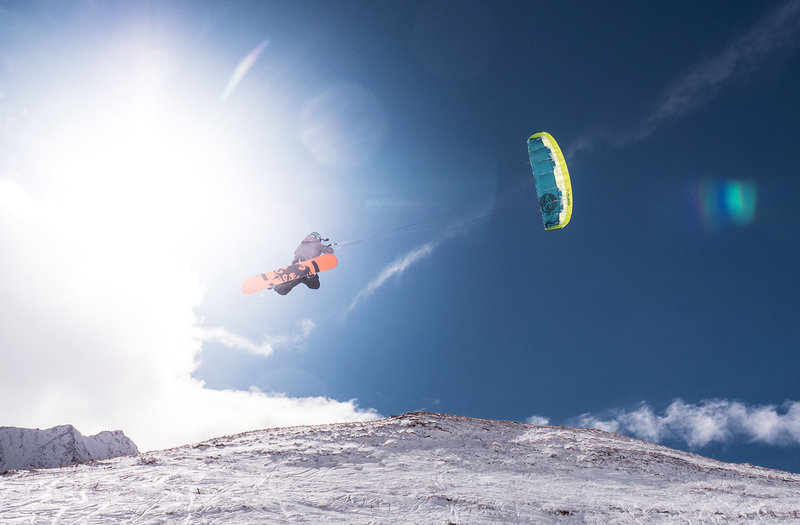 It allows for the large range of use on the PEAK. Hybrid Wingtip Technology allows us to minimise the fluttering, however there will always be a slight frequency which can be felt through the bar. To climb up the mountain, the PEAK4 flies best on 20m or 21m flying lines. In training / school use, we recommend 14 or 17m flying lines. The B-Safe system can be activated with any 5th line safety control bar which has equal length flying lines. 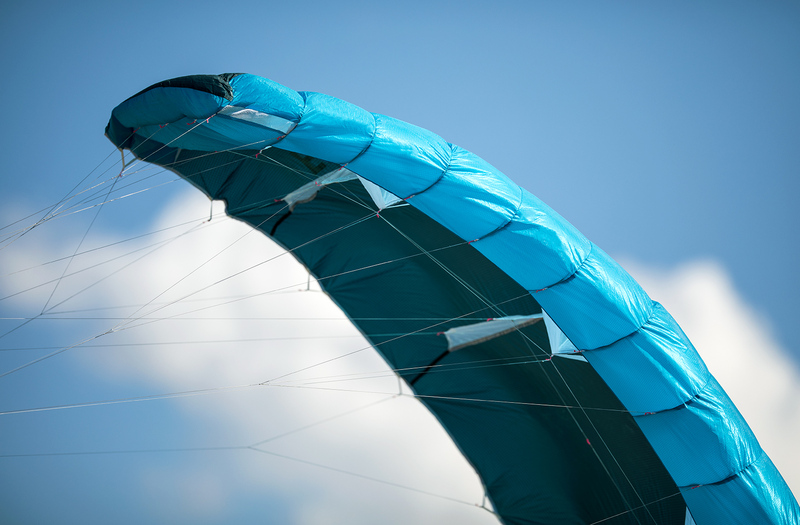 To do this, the enclosed set of PEAK4 B-Safe top lines need to be connected to the kite and the 5th line. Mountaineers who are looking for a new extreme sport and a natural lift up to the next peak. If you are looking for a low budget super fun kite on land or snow. There is no better option. Its a must-have for kiteschools, call it the moneymaker and sell every training on land. Your instructors will love a light wind day.